“The Law Society is of the view that this is a matter of national significance,” said David Crossin, QC, BC Law Society President. Indeed, one would have to agree wholeheartedly with Mr. Crossin. This case will, in my view, shape the future of the interrelationship between freedom of religion and sexual equality rights for generations to come. Therefore, we should not be surprised that the Law Society has decided to appeal to the Supreme Court of Canada. From the moment the three law societies in BC, Ontario, and Nova Scotia decided not to approve TWU we knew that this was a case bound for Ottawa. It was inevitable. 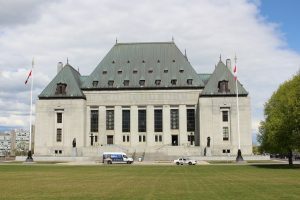 The Ontario Court of Appeal’s decision is already at the Supreme Court’s “inbox” awaiting determination as to whether the Supreme Court will hear the appeal. (There really is very little doubt that it will.) With the BC decision also going to Ottawa we expect that both cases will be heard at the same time. The decision of the “Supremes” will be profound. 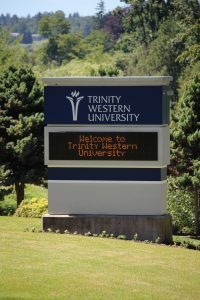 For the second time in less than twenty years Trinity Western University has to, yet again, trudge up to Ottawa to appear before the Supreme Court of Canada and defend its right to exercise its religious freedom to maintain a campus in keeping with its sexual norms. But for the support of the religious community of Canada this school would be hard put trying to keep up with the seemingly never-ending legal harassment of those who are so opposed to their religious views on marriage. It is simply incredible. Will the Supreme Court finally put this matter to rest once and for all? Every religious university across Canada is watching this case unfold with keen interest. They know that as TWU goes so do they. But it goes beyond simply Christian universities. As I have been blogging about this for the last number of years, this goes to the very idea of allowing for “institutional diversity.” The concept of institutional diversity is something that Iain T. Benson has spoken about before on this case. At stake is the issue of tolerance and respect. 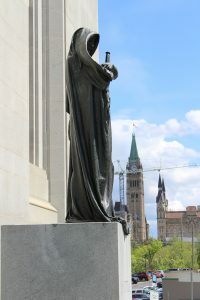 Tolerance and respect for differences is the theme that ran through the British Columbia Court of Appeal’s decision in favour of Trinity Western University School of Law case. This is the third, and final, court of appeal decision in this on-going saga. You will remember that TWU was denied accreditation of its law school proposal because its student admissions policy only permits sexual activity within the marriage of one man and one woman. Since it is a religious school it should not be surprising. Many such universities have similar policies – Baylor University and Brigham Young University to name two. The outcry against TWU in Canada’s legal profession has been deafening. Every common law school, law deans, and three law societies have chastised TWU for its alledged bigotry. The intolerance toward TWU in legal circles has at times been raw. Discussions at some law firms have been heated. Some long term colleagues faced severe peer pressure for their support of TWU. It has not been easy. The animosity, I am told, in some circles has been intense. At one point during the Orlando gay bar massacre one legal academic drew a line to TWU – saying that TWU’s policies created a culture for such violence. While no polling has been done on the entire Canadian legal population, anecdotally TWU supporters are the minority. Indeed, if the 2014 BC Law Society referendum is indicative of the country as a whole then there will only be about 30% of the profession supporting TWU. Of course, it may vary throughout the country – we have no way of knowing for sure. Nevertheless, TWU is very unpopular in the BC profession. BC lawyers are uncomfortable with the concept of having a Christian law school in its midst. That is where the courts come in. Courts have traditionally protected the underdog when it comes to human rights and religious freedom in particular. They did so in the 1940s-1960s when the Jehovah’s Witnesses were systematically bullied and harassed by Quebec’s majority opinion and political officials. The sect was thought strange and strident in their religious views. The BC Court of Appeal, therefore, is following the great Canadian tradition in supporting the unpopular TWU School of Law. 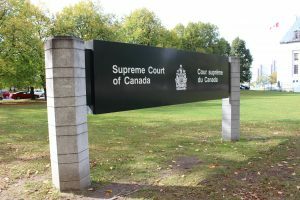 All three law societies have felt that if they were to grant TWU accreditation they would be complicit in or at least approve the religious views of TWU and “that the dignity and self-worth of LGBTQ persons would be affronted.” However, the BCCA said that no right, religious freedom nor sexual equality is absolute. One cannot trump the other. The context must be considered and in this case there is no direct discrimination. Whoever wishes to attend TWU are required to agree to the Community Covenant which is the right of a private religious institution. The Law Society’s interference with that right must be reasonable in the circumstance. In balancing the rights the BCCA noted that the decision not to accredit TWU has a severe impact on TWU’s religious freedom. The BC Government, after the Law Society’s decision, no longer approved the school which is a complete ban to operating the law school. That is not reasonable. 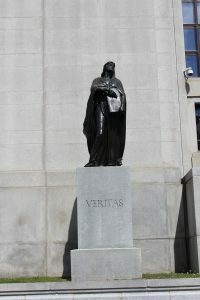 When compared to the effect accrediting the school would have on the LGBTQ community, the Court agreed with the finding of the Federation of Canadian Law Societies that previously investigated the issue and found that TWU’s school would not result in fewer places for LGBTQ students but would increase choices for all students. While it might have a detrimental impact in principle, as the LGBTQ students who could not abide by the Covenant would not apply, in real terms it is insignificant. Majority opinions often chafe at incongruent minority views and practices. Nothing new there. But in a liberal democracy minorities get to have the benefit of constitutional protections. Protections that are reasonably balanced so that all rights are equal. That is tolerance and respect. That is Canada. Now we can only hope that the Supreme Court of Canada agrees with the BC Court of Appeal. The freedom to believe or not to believe is a freedom all value. It is a thin and fragile wall that keeps the two views free and living in a pluralistic society. It is hoped that the Supreme Court will rule in harmony with the BC Court of Appeal. For both views to be free, both will have to respect the boundaries and limit their actions that keep them unique and different. Neither have the right to go into the others space and try to FORCE their views on the other.